What is the Best Tai Chi for Health Program for Me? 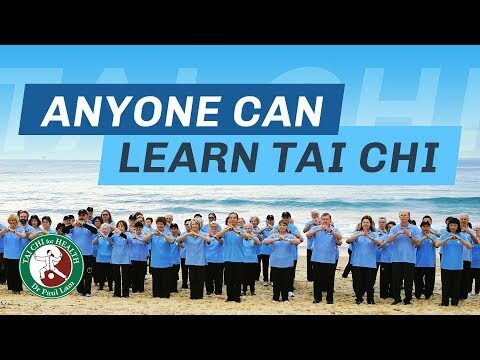 Dr Paul Lam and his team of tai chi and medical specialists have produced the most user friendly instructional DVDs for the Tai Chi for Health Programs. Using them is just like being in one of Dr Lam’s classes. A good way to enjoy learning his program is to attend one of the classes by his authorised instructors and use the DVD to supplement the lessons. If you have a chronic condition such as arthritis or diabetes, see below. If your reason for learning tai chi is to improve your mental and physical health – see Dr Lam’s recommendations. You can try out a free lesson of any program. Arthritis, fibromyalgia, MS, asthma / bronchiectasis or a stroke – Dr Lam recommends the Tai Chi for Arthritis program. It is supported by Arthritis Foundations worldwide; shown by many medical studies to reduces falls, alleviate pain, improves quality of life and better lung capacity. Poor balance to prevent falls, improve balance and health – Dr Lam recommends the Tai Chi for Arthritis too since it contains a fall prevention program, that is why the Centers of Disease Control and Preventions (www.cdc.gov) recommends it. A stroke, heart disease, injury, surgical procedure or tiredness and stress – Dr Lam recommends the Tai Chi for Rehabilitation program because it is very healing and anyone can learn it. Diabetes, heart-related conditions – Dr Lam recommends the Tai Chi for Diabetes program. It is supported by Diabetes Australia. Start with Tai Chi for Beginners or Tai Chi for Energy and then progress onto Dr Lam’s Intermediate Series. Tai Chi for Energy is a combination of Chen and Sun styles and is more vigorous than Tai chi for Beginners and slightly more challenging to learn. The Intermediate Series is recommended for people with approximately 1 year’s tai chi experience and the Advanced Series is for those with two or more years’ experience. Dr Lam recommends starting with Tai Chi for Beginners; or if you prefer a more challenging and faster-paced program Tai Chi for Energy. If you have arthritis or other chronic conditions, or prefer a gentle start, Tai Chi for Arthritis (suitable for almost anyone with or without arthritis). All or any of the three would improve health and wellness, can be enjoyed byt almost anyone. N.B. Please consult with your medical professional before embarking on any course of exercise.